Enoshima is a small island at the mouth of the Katase-gawa River that flows into Sagami Bay. 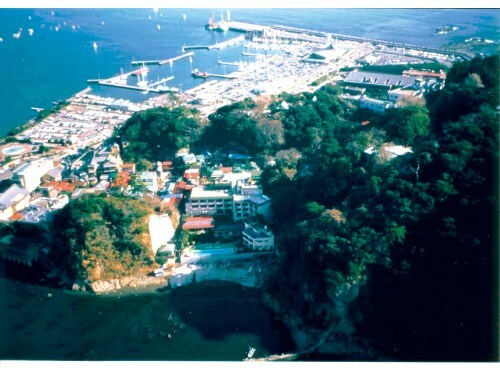 The island is approximately four kilometers, and it is linked with the opposite shore of Katase by the 600-meter-long Enoshima-ohashi Bridge.Once you have crossed the bridge, you will see marine product shops, souvenir shops, inns, and traditional restaurants on the approach to Enoshima-jinja Shrine. Enoshima-jinja Shrine was originally a tutelary shrine where the three goddesses of land, sea transport, and fisheries were enshrined in 552. Hadaka-Benten, or the naked goddess of entertainment in the shrine, is one of the three most famous goddesses in Japan. During the Edo Period, the shrine was crowded with worshippers, as Enoshima Benzaiten had a number of believers at that time. Still today, of course, a number of celebrities visit the shrine to wish for success.Other tourist sites on Enoshima Island include the Tropical Botanical Garden, the Enoshima Observation Lighthouse, the yacht harbor, and a cave called Enoshima Iwaya, created by approximately 6,000 years of sea erosion. 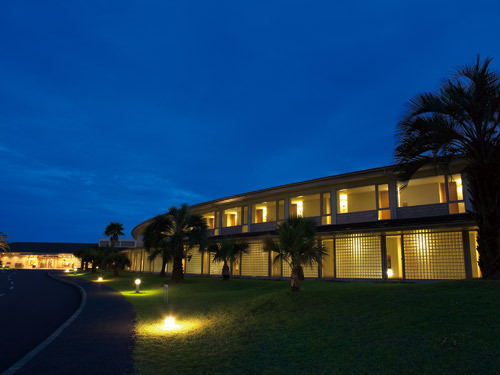 Kamakura Park Hotel is a resort hotel located in the old capital of Kamakura. All guest rooms provide views of the ocean. Western style rooms are equipped with European furniture made in Italy. Japanese style rooms possess relaxed atmospheres. Iwamotoro Honkan is located on the Nishiura Coast of Enoshima Island. Guestrooms have a view of Sagami Bay, Mt. Oyama and the Hakone mountain range. The noise of the car is not heard and quiet.